I’ve been thinking about extreme weather, how to show my work without power, in Wales we have to bring our own bags to put shopping in or be charged 5p. 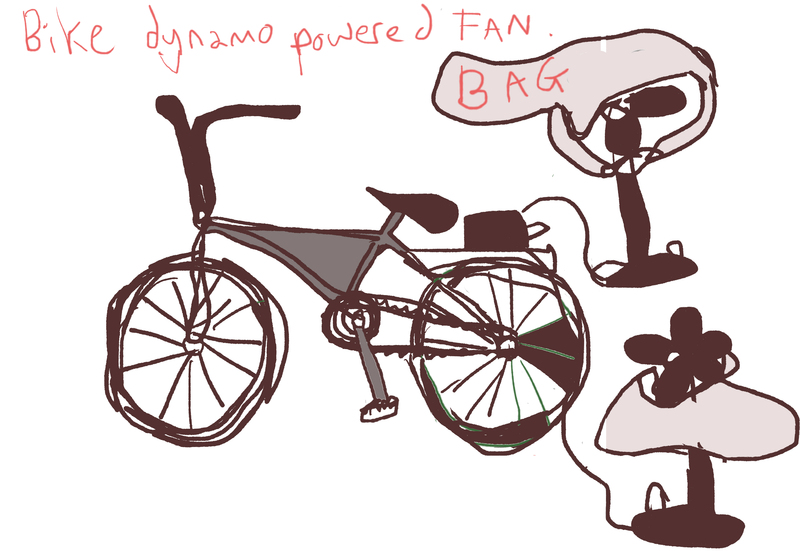 Liking the dynamic of still and motion, elevating the unimportant, in this case the plastic bag and the idea of a person powered static bike causing two duelling fans with attached plastic bag to flap and bellow, making boastful and bashful archaic shapes. There’s also something of the old style motion picture about it, where a scene rolled in the background, whilst actors performed in a static space within the camera’s boundaries and as fans blew the actors hair off screen.